Your iTunes account (commonly known as Apple ID) is the account you use in your iPhone in order to gain access to various Apple services. It allows you to sync your iPhone media with your iTunes library. But that’s not the only use of iTunes account on iPhone; you can use this account to log in to App Store to download and install apps on your iPhone as well as take advantage of many other useful Apple services. All in all, without an iTunes account, you cannot utilize the full potential of your iDevice. When Will You Need to Delete iTunes Account from iPhone? There could be a number of situations where you would need to remove iTunes account from your iPhone. Using your own iTunes account in your iPhone also allows you to access personalized services. You have purchased a second-hand iPhone and it is using the previous owner’s iTunes account. You want to use your own account so you can enjoy personalized services. iOS is asking for iTunes account password frequently which you may not have. You want to sell/donate your iPhone. The methods to remove iTunes account from iPhone vary depending on whether or not you know the password. If you know the password, then removing iTunes account from your iPhone is quite easy. Step 2: Tap the Apple ID avatar shown at the top of the interface. Step 3: Scroll down and find the Sign Out option. Now tap on it. Step 4: Now you will need to input the password in order to confirm your action. If you don’t know the password, then removing iTunes account from your iPhone could be a little tricky. 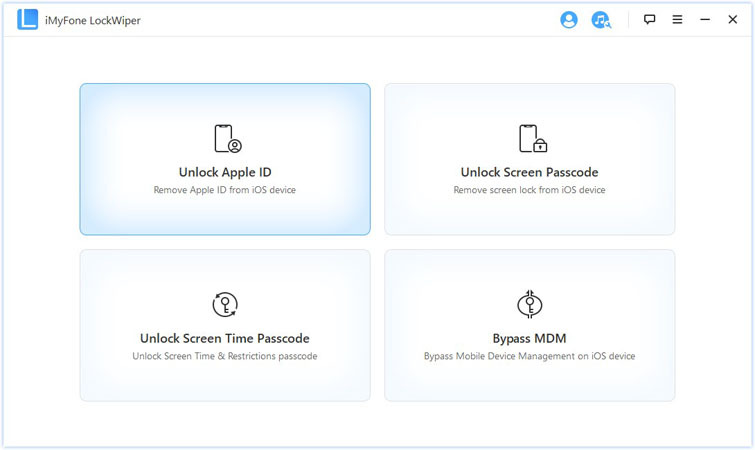 Fortunately, there are many third-party Apple ID removal tools that can help you delete iTunes account from an iDevice without password. iMyFone LockWiper is one such software you can rely on. LockWiper was originally designed as an iDevice screen lock removal tool but with the latest update this tool allows you to easily remove iTunes account from your iPhone. The software is highly efficient and can remove Apple ID or iCloud account from any iDevice within minutes. Furthermore, its user-friendly interface makes it suitable for both beginner and advanced users. Conveniently delete iTunes account from any iDevice, even if you don’t know the password. Bypass/remove Apple ID or iCloud account from any iDevice. You can use this tool to remove/bypass 4-6-digit passcode, Touch ID, Face ID, or any other iDevice screen lock conveniently. You can even bypass lockscreen of an iPhone that has a broken screen. Lockscreen and Apple ID removal processes are quite straightforward. Step 1: Launch LockWiper on your PC. Step 2: Use a compatible USB cable to connect your iPhone to your computer. 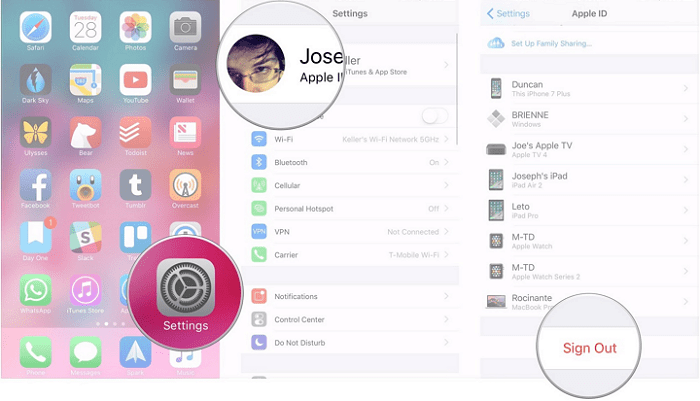 Step 3: Select Unlock Apple ID mode from the home screen of iMyFone LockWiper. Step 4: Click on Start to Unlock button on the next screen. The iTunes account removal process will start. Once the process is completed, iTunes account will be removed from your iPhone. You can then log in using your own iTunes account. There could be a number of reasons why you would want to remove iTunes account from your iPhone. You might want to remove it before selling/donating your iDevice, remove the previous owner’s iTunes account from the device, and more. If you know the password, then you can simply remove iTunes account via the Settings app. However, if you don’t know the password, then you will need to use a third-party iTunes account removal tool. It is recommended that you use iMyFone LockWiper for this purpose as it is easy to use and highly efficient tool designed for this and many other useful purposes.